At Carolina Energy Conservation, we can improve the condition of your crawl space and the living space above with products that are durable, long lasting, and made especially for the crawl space environment. Call 1-855-410-0662 or contact us online to schedule a free quote for basement or crawl space insulation in Sumter, Charleston, Myrtle Beach, and nearby including Florence, Bluffton, North Charleston, Mount Pleasant, Beaufort, Goose Creek, Darlington, and more. 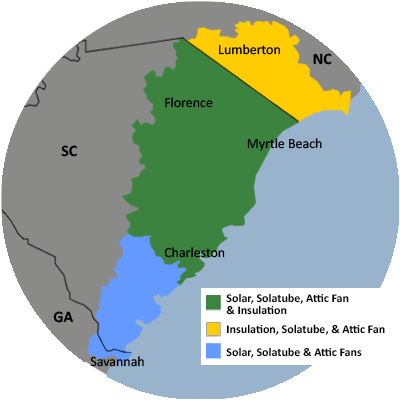 Carolina Energy Conservation is your trusted insulation company serving Eastern SC.